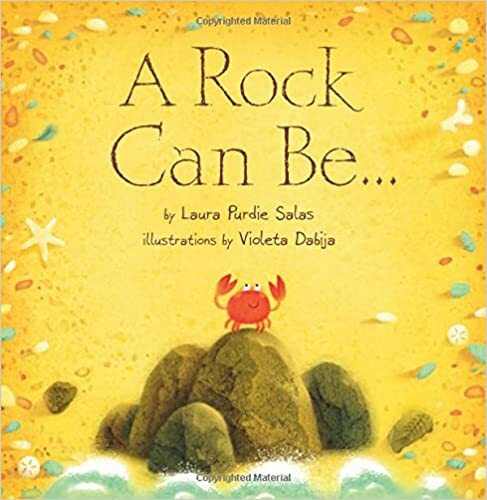 L still needs to be read to mostly when he is contained, although he is starting to pay attention to what he sees on the pages and occasionally point to things or laugh and smile at the illustrations. Cute animals especially delight him, so cute animals it is! 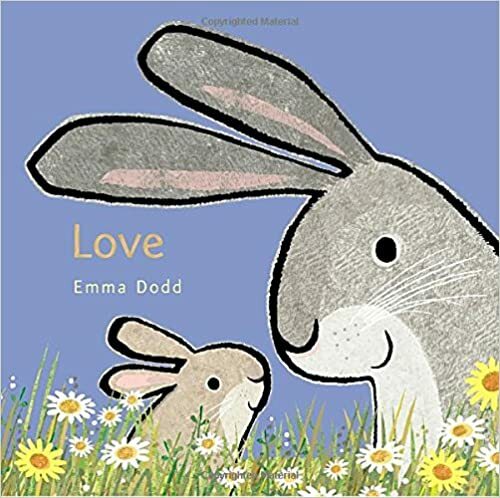 And if it’s cute animals you’re wanting, search no farther than Emma Dodd’s Love You series. When I stumbled across these books at the library, I truly felt like I’d found a gold mine. 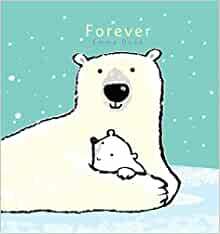 I firmly believe that reading to children works best when the parent (or whoever else in their life is reading to them) genuinely enjoys the book being read. Enthusiasm, interest, and delight are catching. It’s also hard to fake those feelings, at least for very long, so when I’m picking out books at the library, I try to pick out books that spark something inside of me, hoping that then I’ll be able to share that spark with L.
There are many different things I look for in picture books, but, after scores of hours spent in the children’s section of the library, I know for certain that there’s hardly a book I will pick up if I don’t like the illustrations. 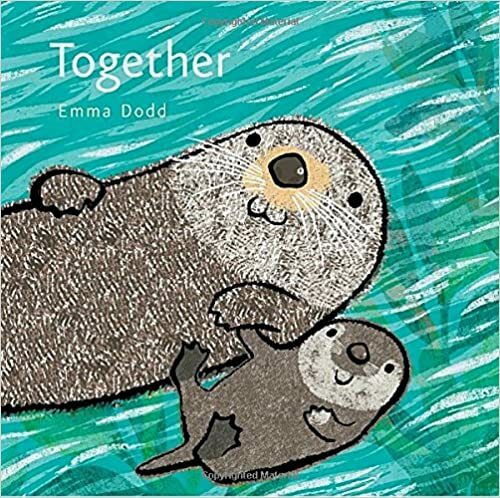 I know that might not be fair, to judge a book by it’s artwork, but with picture books the illustrations make up so much of the story and they set the tone for the entire experience of the book. So I have to like the art. 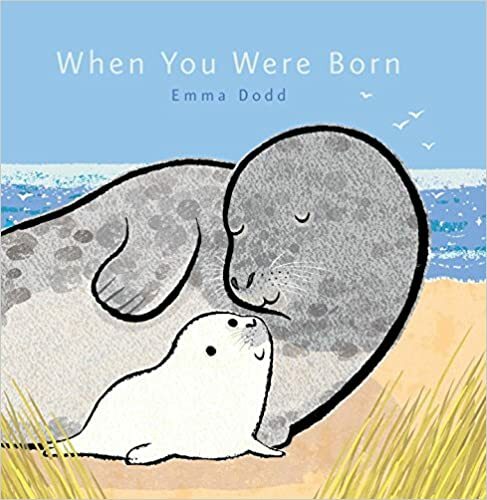 Emma Dodd’s illustrations take my breath away. I’m always eager to see what’s on the next page. The illustrations are simple, but beautiful and mesmerizing in their simplicity. 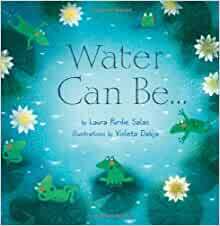 The words of these books are also simple, but powerful in their simplicity. They are about a parent’s love for their child, and I love them because they always take me back to the almost primal emotions I had when L was first born, and the emotions I still have whenever I set aside my distractions and look at the beautiful and precious child before me: Love such that I cannot comprehend. Wonder and tenderness and vulnerability and being swept off my feet, head over heels in love. What wouldn’t I do for this child? I count the days that we get to spend together like pearls on a necklace. Treasure. 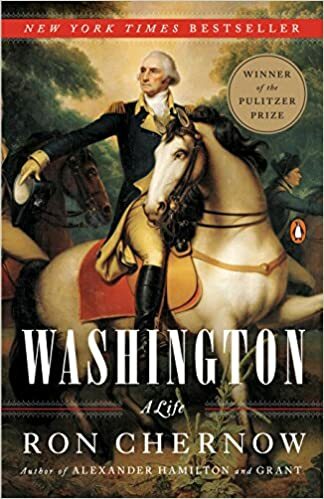 S has been listening to a biography of George Washington by Ron Chernow (of Hamilton fame) on his commute, which means that he and I have spent a considerable (an embarrassing?) amount of time lamenting the loss of George and Martha Washington’s entire correspondence, which she burned after his death!!! How could she?! Those letters would be a national treasure! It’s prompted Sean to say (multiple times), “Now that’s something I would jump in the DeLorean and go back and save!” IF ONLY. 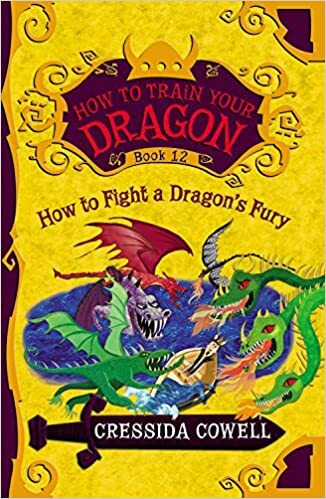 I’ve made it to the twelfth and final book of the How to Train Your Dragon series. The books really mature and grow in depth as the series progresses, while still delighting me with their humor and quirkiness. I’m a bit sad to be off for Spring Break right now and not driving very much because I’m dying to hear how the story ends. As I’ve worked my way through this series and enjoyed it so much, I’ve realized that some of the joy it’s brought me has come not so much through the narrative, but through the simple joy of being able to sink into a story. When I get into the car before or after work, there’s always this deep exhale as I realize I get to mentally relax into a story and stop having my life be so Rush, rush, rush, me, me, me, do, do, do for just a bit. It’s an escape from myself, and from the—at times—very narrow cage of my mind. It also puts me in touch with my true self: the person who loves what is Good, and True, and Beautiful. The person who values story-telling, and courage, and joy, and laughter. The person who has time to smile, and breathe deeply, and listen, and laugh. A few weeks ago I walked into church—a few minutes late, the service had already started—and I experienced this exact same feeling of being freed from the tiny, narrow version of myself and relaxing into the Great Story: the story of God, the World, His People. I felt myself peacefully sinking into the words and the story-arch of the liturgy. What a freedom to know my place in this Universe, to know Love and be Loved, to live and wait in Hope for the Resurrection of the dead and Life of the world to come. What a gift that the Story is not about me, but to be graciously given a place in the Story where I can be the true version of myself that I was created and designed to be. Lent is a time of turning away from some things in order to turn toward other things. Perhaps the things we turn away from are not bad at all, but occasionally we need to take breaks from even the best of distractions and turn towards focus, self-discipline, and a re-evaluation of how we are spending our days and therefore, our lives. This Lent I took a break from all the “pleasure” reading I do (meaning reading whatever books I can get my hands on about France, the ocean, Ireland, writing, traveling, California, Nature, New York City, and oh, anything else that strikes my fancy) and decided to do only spiritual reading in my free time. 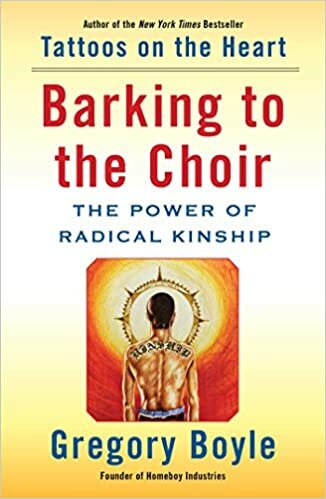 One of the books I read during Lent: Barking to the Choir by Father Gregory Boyle. His first book Tattoos on the Heart is one of my all-time favorite books and was very instrumental in helping me to heal from perfectionism and learn to experience God’s love as a living, breathing reality and not just an intellectual fact. Father Greg is a Jesuit priest living in the heart of Los Angeles who started the largest gang recovery and rehabilitation program in the world. Reading his writing always brings me into a place of spaciousness, of abundance, where I feel surrounded by the vastness, the sheer gratuitousness of God’s love for his beloved children. I don’t necessarily agree with everything he says, but of what book isn’t that true? And like all great writing, he leaves me with questions to turn over and over in my mind, wonderings that I cannot easily dismiss. In addition to comforting me, his words haunt and disturb me in important ways. I keep turning over the quote he cites from Dorothy Day, (which I am paraphrasing from memory because my sister is borrowing the book), when she was asked how to keep the faith and responded, “Stay close to the poor.” As someone who lives in perhaps the most affluent part of the United States, I am wondering how to stay close to the poor in Silicon Valley. And I’ve also been reflecting on the different ways there are to be poor: poor in money, of course, but people can also be poor in peace, poor in time, or poor in the experiences of love and beauty. These questions and meditations do not bear answers easily, but must be wrestled with over the course of my days, months, and years. I suppose this spiritual reading is parallel to what I described above about being saved from myself by getting lost in a story. Here I get to be saved from myself by encountering the true needs of both myself and others and seeing God’s passion for loving and saving His children. I can remember a time, before I drank coffee and before my son was born, when I didn’t like mornings. Now when I’m woken by a chubby, blond baby boy patting me, smiling, and saying, “Eh! Eh!” excitedly, I find mornings irresistibly joyous. Our morning routine, when we’re not working, involves installing L in his high chair, making toast and coffee, and reading, sipping, and eating for as long as we possibly can. L is not of the age yet to sit still with me and enjoy books, so I read to him when I have him captive: strapped into the highchair and distracted by food. Eventually he’ll learn to listen, but for now I just want him to hear stories, words, vocabulary, poetry, and to see glimpses of beautiful pictures on page after page…. 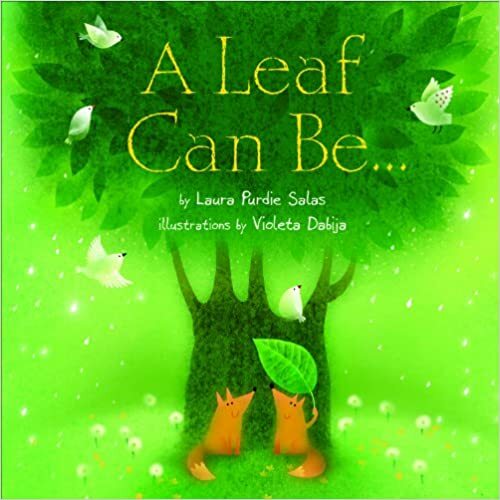 The illustrations are dreamy, and magical…and I love the wonder sparked by looking at ordinary natural objects through new eyes. I put off returning these books to the library for as long as possible, and read them to L over and over. L and I have a new commute that involves the world’s best freeway: 280. When we lived in LA, S would always wax on and on about the great 280, and I always wondered privately what was so very special about it. But now I live here, now I know, and now I am the one to rhapsodize the glories of driving on this curving river of a road that wends its way from San Francisco to San Jose, hugging the foothills of the Santa Cruz mountains and providing alternating vistas of the gleaming San Francisco Bay, the golden East Bay hills, and the green woods of the peninsula. Well, anyway, we drive the 280, our spirits soar in the open spaces of sky and mountain, and—of course—we listen to books. 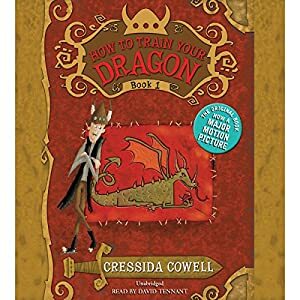 Right now we’re working our way through the How to Train Your Dragon series by Cressida Cowell. It’s not a series I would’ve ever picked up on my own, but it came highly recommended by my youngest sister who has never steered me to a book I didn't like. Also in its favor: the books are brilliantly and comically read by David Tenant of Dr. Who stardom. There’s some middle school boy fart/snot/body humor, which is not my favorite but remains surprisingly tolerable, and I must admit, I’ve grown quite attached to the unlikely hero: a scrawny Viking named Hiccup Horrendous Haddock III with a fondness for natural history. As a plus, every book has managed to make me laugh out loud at least once with an unexpected situation or an unusually clever line. There are twelve books, we’re on the fourth. We’ll see what comes…. I have an incomprehensible (to me) obsession with France. At times I’ve even been tempted to hire a psycho-analyst to explain to me why it is that I love France so devotedly. 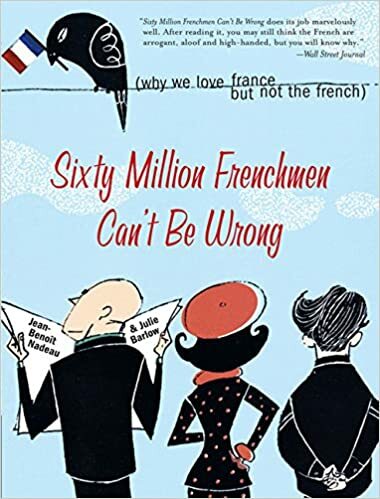 Whatever the reason, I read everything about France that I can get my hands on, and I finally stumbled across a copy of Sixty Million Frenchmen Can't Be Wrong at the Friends of the Library Bookstore. It was the book I didn’t even know I needed—reading it has been like picking up a guidebook to your favorite topic and suddenly have the scales fall from your eyes as understanding dawns and mysteries are unraveled. Here we find the ancient and mysterious French people and culture explained, clearly, charitably, and not with any heavy-handed attempt to justify or critique cultural differences, but strictly to present the facts objectively in an effort enhance cross-cultural understanding. When we were in France in 2015 we were absolutely appalled by what we perceived as a complete lack of customer service in every store we entered. The authors, Barlow and Nadeau, explain that in France, the public and private dimensions are drastically different than those in North American culture. French culture experiences the store as a private domain, belonging to the owner and the employees, and when a customer enters, it is similar to entering a person’s home. Well, we would never barge into someone’s home without saying hello or begin a visit by asking for things or making demands. The French custom, therefore, is to enter an establishment respectfully, to call out Bonjour!, thereby acknowledging that you are entering someone else’s personal space, and then—chances are--customer service will be similar to being entertained politely in the home of a friend or acquaintance. Of course, it goes without saying that in North America the store is a public domain, the space slanted much more in favor of the customer who is “always right”. The point isn’t to argue which system or mentality is better, but simply to acknowledge that this difference exists and to behave accordingly. When we’re in France this summer, I will make the effort to say Bonjour (something I seem capable of uttering in French without horribly mangling that elegant language) and when I walk into an establishment I will remember that, in essence, I am walking into someone else’s private space. Not so long ago, something happened to me for the very first time: my writing was published in a book. I’ve hardly spoken about this to anyone, mostly because the past year of our lives has been all upheaval and traveling and new experiences and adventures. I just haven’t had the time or energy to focus on the release of the book. Inevitably there’s the other reason too: an essay I wrote about my miscarriage was published in a book of essays on infertility and miscarriage. So that’s a bit of a downer: saying with excitement, “I’m going to be published!” Oh?! What for? “Well, I wrote about my miscarriage….” and then no one knows whether to be happy for your accomplishment or to offer their condolences for your loss. Emails and updates came from the editor, but it wasn’t until our most recent trip to Los Angeles that I found the book waiting for me at our old address, packaged in a brown manila envelope. I instantly liked the way it felt in my hands, and commented to Sean, “Ah, the type! The type is perfect.” That has always seemed most important to me—how does one enjoy even a well-written book when the physical form of the words is ugly? Then I saw my name in print, read my own words back to myself, and put the book down—ready to focus on our trip, our friends, and not an old grief. Flash forward to today: Holy Saturday. A quiet day. A day of waiting. A day to be still and watch the sunlight move across the carpets and painted walls and to read, and pray, and wonder. The book, sitting on our coffee table, caught my eye and I picked it up, finally, to read in its entirety. This book seems to me the right book to read on such a day. Personally, I am no longer in the Good Friday agony of my grief over the loss of our baby. The blood, the death, the fear of Good Friday and of our miscarriage have subsided into quiet, bittersweet memories that simply sit, still, within me, as we sit still on Holy Saturday and wait. Sean and I haven’t had anymore pregnancies and so we do not yet know the metaphorical joy of Easter and new life in this child-bearing area. Holy Saturday fits my place right now: not grieving, not joyous, just waiting and still, wondering what is to come; hoping, but for what? The book I am published in is called Not Alone, but it’s original title was Empty, which—while definitely bleak—I appreciated because the only adjective I had to describe how I felt after my miscarriage was that: empty. I had been full, full with life, and now I was empty; there was nothing inside. I took many months, if not a year, to grieve the loss of our child, and while I did it felt like the emptiness inside me grew to the size of a cathedral, opening up spaces inside of me that I did not know existed. And then, as so often happens with grief, one day that emptiness inside of me was just space—space that allowed me to breathe more deeply, to see more clearly, to welcome others into my heart and home and to empathize with their pain in a way I hadn’t before. My emptiness, those vast caverns and soaring ceilings, weren’t so much filled as they were transformed. And I gave thanks. First of all, a tiny piece of me will always remain hollow due to the loss of my first child. I look at my friends’ children and I wonder what our baby’s personality would’ve been like, the person he would have become, and I know that is lost to me forever on this earth and that is a real loss. I have to name it and accept it and sometimes ache for it. Our baby, who we believe was a boy, would’ve been four years old this month. Four years is a long time without someone you love. Secondly, if I do at some point in the future carry another child within me, I will do so with a heightened sensitivity to those who feel empty in this area. There is simply too much regard for the joyous fullness of motherhood and not enough respect and empathy for the utter barrenness some women (and men) experience. And really what is more valuable? To be empty? To be full? What gives us worth? What helps us be better to one another? What makes us human? It’s certainly not an either or situation and giving birth to a biological child is not the only way to experience motherhood, to be maternal, or to act in a way that is life-giving to another person. And the last thing I know, most surely of all, is this: the joy of new life by the birth of a biological child may never come in my life. I have no reason to believe that it won’t (seriously, for all those wondering, we’re not struggling with infertility; we’ve just chosen to put childbearing on hold currently) but this is an uncertain world and I don’t like to count my chickens before they’re hatched. But I know that the joy of Easter will come to me, to my husband, to the children of God no matter what barrenness we experience on this earth. Easter has happened and with it the promise that death holds no power over us because Christ triumphed over death. We get moments and glimpses and sparks of this joy now, and tomorrow we will feast and rejoice and celebrate because Christ is risen and because of his life, we have new life. And tomorrow and every day until we breathe our last, we will hold onto the words of the Creed as we wait in the Holy Saturday of the present and "we look for the resurrection of the dead, and the life of the world to come." We wait in hope, on Holy Saturday, and on all days. It was Paris that decided it for me. We had planned an ambitious trip, Sean and I,—to quit our jobs, put our stuff in storage, and travel Europe for a season, and I was scared. What I wanted to do was cancel it all, keep my salary, stay home, stay put, stay comfortable. And though I could resign myself to missing just about everything else, I somehow couldn’t bear the thought of not seeing Paris. Paris, Paris. The City of Light had utterly captured my imagination and now it seemed of the utmost importance for me to stroll her boulevards, drink wine in her spacious, leafy gardens, wander the halls of her magnificent museums, and immerse myself in the city of kings and tyrants, revolutions and sieges, artists and philosophers. I read and listened to book after book about Paris until the names themselves became a kind of poetry for me. Place de la Concorde. Avenue des Champs-Élysées. Saint-Germain-des-Prés. Île de la Cité. Ponte Neuf. Le Marais. Hôtel de Ville. Place de Vosges. Montmartre. I needed to see the place where this poetry took form and shape and came to life. I needed to follow these avenues and quais, boulevards and bridges to wherever they might lead. Paris reached out to me across an ocean and a continent and planted hope in my heart—hope for beauty, for adventure, for living poetry. And so we went, scared yet also brave, across the Atlantic, and then, across the Channel to Paris where, for me, there was one last pilgrimage to make: if I had clung to Paris as a symbol of beauty and bravery then the Eiffel Tower had clung to me as the soaring symbol of Paris. I went alone, and on foot, along the banks of the Seine, and I can tell you that neither Napoleon, nor the Prussians, nor Hitler himself could’ve walked the boulevards with more pride and elation than I felt as the Eiffel slowly rose before me, growing ever larger in my vision with each passing step. I’d done it. I’d come. And unlike those terrible tyrants and conquering armies, I had no need to possess or control Paris; I asked only for the freedom to roam unhindered; I wanted only for Paris to keep being Paris. I passed directly under the Eiffel’s spidery iron splendor, and then strode on to walk and walk for hours in Paris, wherever my feet pleased to go, stopping for crêpes in Saint-Germain-des-Prés, resting in the Luxembourg Gardens in the cool of early evening, and lingering on the Pont de Sully to watch the sunset turn the Seine, for a few splendid moments, into a river of gold. It’s just a phrase on the screen that catches my mother-in-law’s eye as we sit talking quietly in the den that afternoon. Breaking News, it says, and we turn with mild interest to find that Paris is under attack. It is real to me. Perhaps more real even than the 9/11 attacks upon New York, though that was my own country and more souls perished. In 2001, I had never been to New York City. I didn’t know the glint of the sun off her skyscrapers, nor the pound of her sidewalks beneath my sore feet, or the smell of the subway each time one descends beneath her thrumming streets. It is unfair that we should need to know such details in order to feel tragedy more keenly. It is so selfish that this attack is more real to me because it’s more personal: because I know and love Paris now, and because it could’ve been me. But these blows to my selfishness, these punctures to my personal world tear great gaps through which the world can pour in, and I can join others, to the best of my ability, in their suffering. The terrorists shot the people in the cafés, and, for that, I might never forgive them. For once I got there, once I encountered the city in the flesh, I think I loved Paris the most for her endless restaurants, and cafes, and parks where throngs of people gathered each evening to sit together and talk, and drink wine or espresso, and watch the world drift by. I know there is decadency and sloth in alcohol and relaxation pursued to excess, but there is also great wisdom in taking time to sit for hours with a friend, a loved one, a delicious drink, a plate of food, a beautiful city, a warm summer night. I found an ability to relax in Paris that perhaps my American soul had never known, and truth be told, I envied the French a bit for their ability to sit back and be still when I felt the need to so constantly, compulsively keep moving. Now months later I watch hour by hour as the horror unfolds and I try to imagine things like gunshots and bombs amidst the tinkling of glasses and the lively chatter of a Parisian night. I remember particularly the color of the light cast by the street lamps on our first rainy evening in Paris, though on this night there is no rain, just the shiny gold of the survival blankets wrapped hurriedly around the shoulders of victims. I curse and I cry and I drink a glass of blood red wine. The streets of Paris run once more with blood. There is no immediate comfort. There is only the bleak hope of history: that the Paris which has survived the Terror, the Tyrant, the barricades, the Prussians, the Commune, the Great War, and the Occupation will survive once more. I believe, in the part of my heart that just can’t give up, that Paris shall yet again prevail. For now, I write this as a tribute and offer it as a gift to the city that made me brave by filling me with a longing for beauty which proved stronger than my fear. For now, the City of Light is shrouded in darkness, yet there is One to whom darkness is as light. Here we have no abiding city; bring us safely, merciful Lord, to our eternal home. I know, I know. I’ve gotten a bit behind in recording the exploits of our trip, given that we’re now in Paris, and I still haven’t even written about London. We left Oxford for London on a brisk, sunny morning, feeling sad to be leaving our friends and such a beautiful city as we schlepped our stuff to the bus stop, then onto our London-bound bus, then through the tube station, onto the tube, then the DLR train, and then across the neighborhood and up the four flights of steps to our lodgings. Ah London. Where to begin? There are so many ways in which London was so much more than I imagined and also not at all what I was expecting. I’ll try to explain, but only with the caveat that we spent just a week there, so how much can we really know about the city? We arrived in London on a brilliant, sunny afternoon. I’m glad that’s the first way I experienced London: warm and bright and green. We walked through a cold, white-tiled tunnel under the Thames to busy Greenwich where we stuffed ourselves on tea and scones, visited the Royal Observatory situated in a leafy, rolling park, and bought bags of groceries which we carried back under the river to our flat. If we come back with our teeth stained black, you will know why. We found ourselves wondering how we ever made it through a day without drinking tea at least three times. It’s so simple, so comforting, so warm, so charming, so perfectly suited for pleasant conversation. The Brits are on to something here. If you ever want to feel the full might and splendor of the British Empire, just go to the British Museum and walk through the endless halls of relics and artifacts and stone ruins culled from ancient lands. We saw the Rosetta Stone, huge stone carvings of the pharaohs, Assyrian doors and statues, Egyptian mummies, friezes from the Parthenon, and totems from Easter Island. And that was all within the one hour we had there! What a magnificent place! Also—free to visit! Without going into politics and economic systems, I have to say that free museums are pretty amazing. I especially like the way they encourage an atmosphere of cultural engagement. Museums become things accessible for even brief trips—to pop in and see a painting that you love, or visit for an hour just to explore the Egyptian hall—rather than to pay a large entry fee and then try to cram in everything in one visit in order to get your money’s worth. It’s more leisurely, and therefore, I think, more valuable. If there’s a place with more history per square inch than Westminster Abbey, I’m not aware of it. When you tour the Abbey, you walk through halls and rooms and chapels stuffed full with English monarchs and nobles and Britain’s most famous citizens, and then, at the end, you reach the Poet’s Corner, and it’s like walking into a room full of friends. You think, “Ah yes, here I am last! With my people. The people I know. The people I love. The people who have added so much joy and meaning to my life.” And then you think of all the people you’ve shared your love of these authors with, your peers, your college-mates, your dearest friends. It’s a happy little corner to find yourself in when traveling the great wide world. We bought cheap tickets in the standing section to see As You Like It. It was so much fun to stand in a crowd, so close to the stage, with actors and actresses walking right by you. It was the most involved I’ve ever felt in a play. I was determined to stand the whole show because if the Elizabethans could do it, then so could I! But perhaps the Elizabethans hadn’t all spent the entire day on their feet touring the city of London. Or perhaps they just had quite a few pints to keep them happily on (or off) their feet. Either way, Sean and I were happy, Orlando was handsome and Rosalind was witty, but our feet were miserable. This may be my favorite place in London. It helped that we visited it on a sunny, relatively warm day, but no matter what, it’s an oasis in a huge city—an oasis of flowers and green lawns, old trees, stone bridges, and a calm, curving river—all set under blue skies and white puffy clouds. And after some wandering and roaming, we found the Peter Pan statue! We couldn’t help it. We paid the exorbitant ticket price and went on our grand Harry Potter pilgrimage. What a place! It was less like visiting Hogwarts, and more like visiting the world’s best Harry Potter museum. I was kind of in heaven as we walked through hall after hall of the movie’s sets and props perfectly arranged, and then we walked into a room with a heartbreakingly beautiful model of Hogwarts lit in the soft blue light of twilight. I wanted to stay in that room forever, watching the lights twinkle in the windows of the Great Hall and feeling like everything is right in the world. London felt like a monstrosity. It was so huge and disjointed and spread out that it was very hard to find a coherent sense of London as a city. There were pockets of London that we greatly liked, but it was difficult to comprehend London as a whole except as a vast network of buses and subways and trains and stations that cumulated in too big of a mass. It took at least 40 minutes to get anywhere, and every day felt like we had to work up the energy to venture out to a new outpost in a vast and unfamiliar landscape. It was quite draining. I liked things we saw in London, but it’s lack of cohesiveness made it hard to love London as a whole, as a place, as a city. We arranged to stay with a friend’s uncle, so we didn’t really know what to expect except for the fact that there was a man in London who was willing to host what were, to him, strangers for over a week. That alone was impressive. And so we arrived in London’s Victoria Station and schlepped our stuff through the labyrinthine subway to the doorstep of an apartment building, rang the buzzer, and—wonder of wonders—were welcomed in. What we didn’t know is that we would be staying in a cozy little apartment right on the Thames with a stunning view of the river. That view, and the people we were staying with, rapidly became our absolute favorite part of London. We woke to the sounds of the waves on the Thames, and then fell asleep to the same waves at night. Throughout the day we watched the river rise and then fall as the tide came in and out. And then there was all the river traffic to keep one entertained—rowing teams early in the morning gliding across the surface of the water, commuter boats racing back and forth, river cruises for those wanting to see the sights, and party boats with thumping music and happy people drifting by at night in a twinkle of lights. Having the river so close brought the city right into the apartment, and made us feel a part of everything that was going on outside, without ever having to leave the couch. The rhythms of the river filled the day with a pleasant hum of activity, and filled the windows up with beauty. And then we had our hosts. Uncle T. and his daughter E. I’ll use their initials just in case they don’t want their identities broadcast all over the internet. Anyway, they made us feel right at home with their abundant hospitality and warmth. When we met Uncle T. for the first time, he said, “You are welcome here.” And we truly felt it. E. was around the house a lot and we absolutely loved drinking tea, talking about the differences in our countries, and watching Daredevil with her. The evenings were lovely when we were all together, drinking more tea, eating biscuits, and discussing all sorts of interesting books, historical events, and movies. It’s such a joy to meet bright, kind, thoughtful people in a foreign land and feel that the world is full of friends, just waiting to be met. We were touched to the core by their kindness to us, and left London so grateful for the chance to get to know them, and with admonitions for them to come visit us in California soon! Oh, Oxford. We've been here for 8 days and we'd be content to stay here for another 800. Sean found a sign today that says, "There are few greater temptations on Earth than to stay permanently in Oxford," and it's not hard to see why. I actually had no idea that a place like Oxford could exist, and now that I'm here I feel like I've stumbled into paradise. We are completely head over heels in love with this beautiful city. You would have to have a soul made of pure ice to be able to resist the charm of this place: green meadows, stone colleges, brick houses, cobblestone streets, ancient libraries, cozy pubs, frothy pints, rain showers, books, hot cups of tea, beautiful old churches, domes and spires, quiet rivers, history everywhere, the wisdom of the ages, Lewis, Tolkien and all your favorite English stories hovering around each corner, and the entire time feeling like you've finally, finally made it to Hogwarts. Our days begin with walking Riley to school, and then we turn and head towards the City Centre and a new adventure. On Wednesday we visited Christ Church College--one of the oldest and most beautiful of all the Oxford colleges, of which there are many. The thing about Oxford is that there's no campus for Oxford University--the city is the campus and scattered throughout its streets are dozens of colleges encompassing whole worlds of wonder behind their exclusive stone walls. You want to talk about feeling left out? It's enough to drive you crazy wandering around the city, peeking through fences and doorways at magnificent chapels and libraries, quads and cloisters at which you gaze longingly but of which you cannot be a part. Thank goodness for visiting hours, when--for the price of a few pounds--the colleges allow you into these mysterious old grounds and buildings for a glimpse of the academic and spiritual life that has been going on here for almost 800 years. Christ Church College is simply breathtaking. We got to visit the staircase that they used as the entrance to the Great Hall in Harry Potter and the Philosopher's Stone. Alas, the hall there, which was used as the model for the movie set's version of the Great Hall, was closed for construction. That was more than a bit upsetting! But we did get to take a free tour of the Christ Church Cathedral. Our guide, after finding out our state of origin, kept referring to us as 'The Californians' and calling the US 'your place'. I could barely contain a smile at hearing the whole massive space of the United States of America referred to so inconsequentially as 'your place'. You know, just our little country. It always amazes me how so much time and effort can be put into planning a trip, and then, inevitably, moments that you never could've planned just come along and sweep you off your feet. I think one of the most important aspects of traveling is making yourself available for a moment like that to arise. When I was planning our trip, I looked into visiting the Cotswolds but wasn't sure how to make it work, so I just let it go. And then a friend of a friend offered to take us for an afternoon in the country and the Cotswolds--so we found ourselves in a wood full of bluebells, straight out of a fairytale, and then driving past fields of the brightest golden rapeseed, and then wandering around the little town of Burford, complete with medieval stone houses and low-ceilinged pubs. One of the nice things about spending such a long time here is that we've gotten to experience Oxford slowly, discovering new parts and pockets of it in our daily walks. Thursday morning we saw the Divinity School, the Bodleian Library, the Sheldonian Theater, and the Bridge of Sighs. 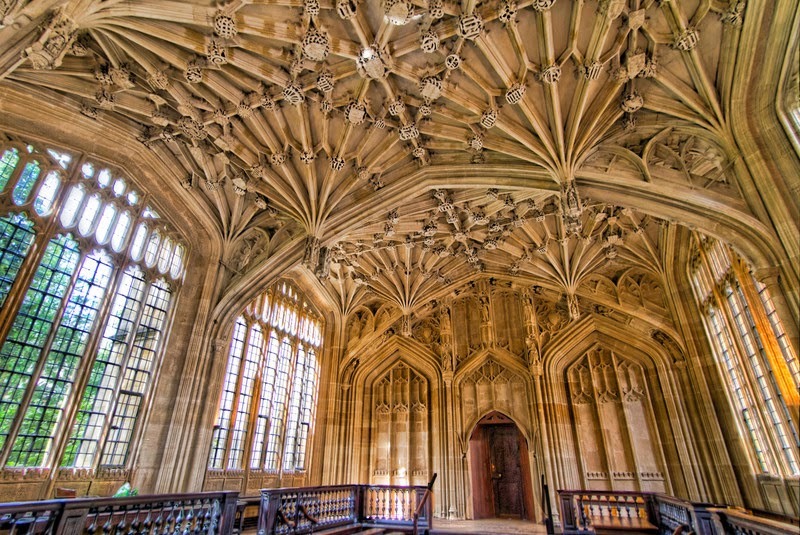 My absolute favorite was the Divinity School, a single, soaring room in which Oxford students used to attend lectures and take oral exams. It is probably the most beautiful room that I've ever been inside of in my entire life. I've been thinking a lot about the way space effects us, and I'm sure that learning and discussing in a room like that would significantly contribute to the quality of the education. I could live in that one room quite happily for the rest of my life. On Friday morning we had an appointment to peek in at the Duke Humphries Library--no pictures allowed. Then we were free to roam Oxford for hours, and this is really the fun part: just wandering around, walking down whatever street or alley looks interesting, learning the feel of the place from your own two feet, and ducking into pubs or cafes whenever it starts to rain to enjoy a pint or a cup of tea. We saw the door and the lamppost which supposedly inspired Lewis's Narnia, and we spent a happy couple of hours walking around Christ Church meadow, admiring the little goslings and their parents, looking for birds, walking along the river, and picking dandelions--all with a view of Oxford's dreaming spires. My stuffy nose and the terrible exchange rate were perhaps the only two things reminding me that perfection doesn't actually exist on this side of heaven. 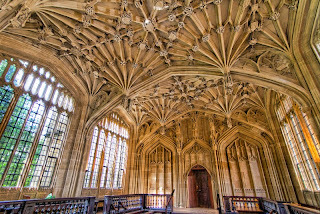 We spent that afternoon inside the hallowed walls of Magdalen College, where C.S. Lewis lived and taught for many years. What a place. I think for the rest of my life I'll be able to close my eyes and remember the peace and beauty of the grounds and buildings there...the grey chapel filled with organ music, the silent medieval cloisters, the low arched doorways, the hall full of windows and intricately carved wood, the trees and meadows along the River Cherwell. It's a place of beauty at which we got to have just a glimpse, but the overwhelming feeling I walked away with was gladness and thankfulness that such a place exists in the world. You know how you have friends that you think of and you just feel better knowing they're alive in the world? There are places whose very existence gives comfort, and Magdalen College is one of them. One of my happiest moments was walking home after spending a morning at Oxford's National History Museum, and coming across a group of students playing Quidditch in University Park. AHHHHH!!!! What happiness is mine! We had a long, lovely, muddy walk home along the river, through huge green meadows overflowing with fat dandelions and little yellow wildflowers. When the sun does come out here it is so cheerful and warm and makes you feel utterly buoyant. We saw three huge deer just bounding through a meadow in the broad daylight! Saturday evening we attended Evensong in Christ Church Cathedral. We sang Be Thou My Vision by candlelight with the sun's evening rays pouring through the stained glass windows in a church that was built in the 1100's. I couldn't stop touching the wood and the stone, soaking up the feeling of being a part of something so much bigger than myself. Saturday night we did a mini-version of a pub crawl, ending the evening by sharing a pint at The Eagle & Child and toasting to "Lewis, and Tolkien, and the Inklings, and Narnia, and Middle Earth, and all that is good and true and beautiful in the world." Today was like something out of a dream. Sean and I woke up early to walk our little friend to school. The sky was grey and spitting, the wind cold and blustering. We were decked out in Wellies and raincoats and walking down streets lined with brick houses and green trees and yards full of flowers. Once she was safely dropped off, we set off to explore Oxford together, after a couple of days of mostly staying inside to recover from jet-lag. (Although yesterday was a bank holiday and we did go punting down the river to the Victoria Arms--a huge stone restaurant set on a sprawling lawn dotted with picnic tables. We drank pints and watched the kids play and made friends with a pair of beautiful hunting dogs.) All the streets were lovely and beckoning and so perfectly charming that I wanted to take pictures of everything I saw, but even that wouldn't have captured the essence of it, so I just tried to enjoy it. We wandered into some bookshops, of course, and then got coffee at the Missing Bean, and then over to the Ashmolean. Yay for free museums! 1. The irons that held Thomas Cranmer imprisoned before he was burned at the stake. That was quite powerful for me, given the influence that The Book of Common Prayer has had in my life. 2. The lantern Guy Fawkes was holding when he was caught under the houses of Parliament about to blow the whole place sky high! 3. Powhatan's Mantle: a huge leather skin decorated with tiny white seashells that belonged to Pocahontas's father. The mantle used to hang on a wall in the museum, but people were taking the shells off of it home for souvenirs. So now it is encased in glass. 4. The Alfred Jewel, which was housed in its own special vaulted glass case. It's a man depicted in enamel and then set in gold--probably made in the 800's--but found when a farmer was digging in his field in the 1600's. I just love the idea of a simple farmer finding that artifact one day as he was unsuspectingly going about his business. By the time we walked home the sun had come out, and everything was green and blooming and wondrous. When I was planning this trip, I didn't realize that it would be spring when we were in Oxford. Spring has never meant much to me seasonally, but I'm so glad now that we are here in the spring. The wind is blowing the white flower petals from the trees into the air like snow, and it's so fun to see the petals scudding down the street when the wind picks up as if they are racing each other. In the afternoon we walked once more back to Riley's school to pick her up. She was waiting for us expectantly. First we went to the park and looked for snails, walked by the canal, played on the swings and the teeter-totter. It was so windy, it could've almost blown a person over. But there are so many trees here, and the wind in the trees sounds so beautiful, and the leaves look so pretty being blown about. I told Riley that the trees looked like they were dancing, and she said, "Maybe it's Dancing Tree Day." On the walk home we stopped for hot chocolate and buttery croissants. Riley acted out scenes from Despicable Me 2 and had us laughing so hard. Behind the counter was a giant jar of green olives that Riley and I kept looking at longingly after discovering that we share a mutual love for them. Sean walked up to the waiter and asked if he could get a couple of olives for us, and came back with a cup full of green olives which we ate with great relish. Tonight we ate pizza, watched Tin-Tin, played games and did puzzles until bedtime. 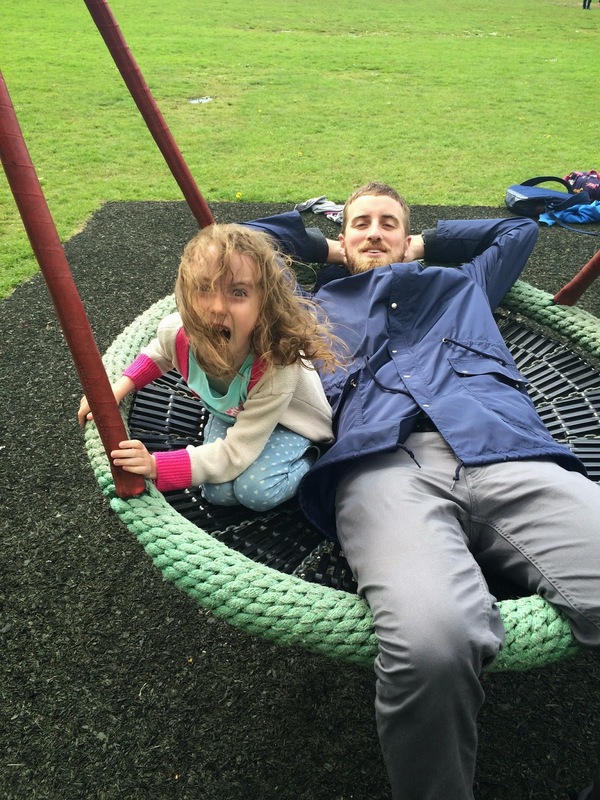 Being silly on the swings!